What song would tu sing to your crush? Which song would tu choose to cheer up a friend in trouble? Have tu Seen Jason Play Live? I am trying to buy tickets to see Jason in concierto and would like to also buy pre-sale but I need the fan club code. Does anyone know the number? 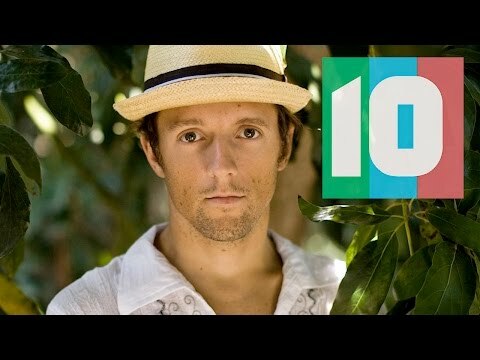 I want to get tickets to a Jason Mraz concert. Do tu know the code for fan club members to buy tickets early? is jason fond of taking pics o not? Lizards. The favorito! snack of my cat. I’m tempted to subir a video of him eating all but the tiny toxic bit, what I make up must be a lagartija, lagarto large intestine. It’s anything but large – these lizards aren’t dinosaurs, they’re the garden variety. 6, 8 inches max. A sign publicado on a door for hotel staff had been defaced and now read, "Hot__ Associates Only." This kind of human behavior and fondling of letters inspires me. Upon seeing it, I am moved to fetch me lady and me camera and have her pose as if she's entering the special room. Whatever might go on in a room reserved for hot associates only, I hope there's lots of oil and a communal lathering. Tonight I host Mr. Toca Rivera for cena and a rehearsal of new songs. It’s hard to believe he and I have been together for más than 10 years now. Looking back at the last decade I've so much to be thankful for, his friendship included. Rather than making this blog a stroll down memory lane, I’ll stay present and lista a decade’s worth of Gratitude (what I can remember of it anyway) in 90 seconds. Go. I’m a fan of positive articulation. To me, this is a step beyond positive thinking. It’s putting your positive thoughts into action – into doing – into words. 3542 miles so far and not once have I had to buy water. I know everyone who reads this blog uses a reusable water bottle – and I thank tu for hooking up your friends and family this holiday season. In addition to falling in amor with myself and allowing the new album to awaken and unfold organically, this well driven journey has also inspired a quest for America’s Best Veggie Burger and the Perfect Cup of Hot Chocolate. 'I'm yours' made it into the final round for the Travel Tune of the año of HostelBookers. Give us your support and vote for Jason!